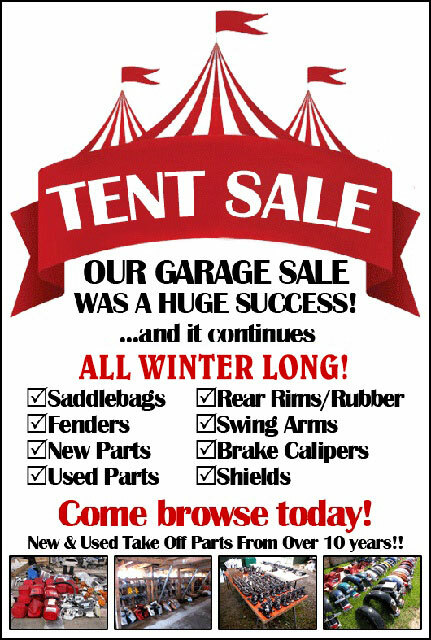 You've arrived at the home of all things Trike and Bike! From Trike Conversions to turn key units, Trailer hitches and Sales, Accessories, Motorcycle Parts and Service, ATV's and custom work- there is something for everybody! We have a great ride in location, so come on by for a visit or Contact us at 780-389-3344 to hear about the latest additions to our inventory. Tell us how we can serve you and let's get you on the road... Three-Wheelin'! Looking for a trike? We have Alberta's largest inventory of motorcycle trikes: Harley, Honda, BMW, Suzuki, Yamaha, Kawasaki and Rewaco... We sell and service them all! We are presently looking for more units for the showroom floor! Thinking of selling a trike? Come let our experience and heavy web traffic work for you. Now booking spots for fall/winter service projects! Maintenance, major re-working, repairs & accessories. Demo Rides available anytime! Come out and take a ride and see for yourself what Threedom is all about! Trike Zone is a registered trade name. 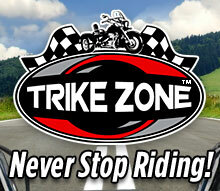 Sign up for the Trike Zone Newsletter here, Stay informed on upcoming events and news!